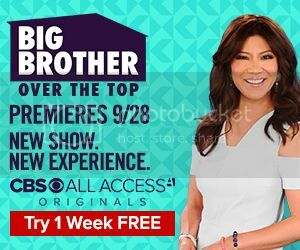 Big Brother 18 Blog..because you're addicted. Big Brother 18 Blog...because you're addicted. Tonight, we will watching Paul VS Nicole in the Part 3 Final HOH Comp, where the winner will advance to Final 2 and get to pick which HG to bring with them. If Paul wins, expect him to bring Nicole. If Nicole wins, who knows..though Paul told her last night that if she bails on their Final 2, she loses his vote. Period. Nicole has been promising Paul all week that they're gonna be Final 2, until she brought up concerns last night. Paul told her that if he cuts her at Final 2, then she's not a respectable player and that she should've just told him all week long that she wasn't gonna take him instead of flipping the script last minute. Nicole is really in a pickle here because if..
*She wins and doesn't take Paul, she loses his vote. *She wins and does take Paul, he most likely wins BB18. *She loses Part 3, Paul could cut her (for being so flip-floppy) and take James, ensuring his win of BB18. So tonight is gonna be really interesting to see how things unfold. In my opinion, Paul has an advantage to both winning Part 3 (which is questions that the jury members answer and they have to guess what the HG said & Paul's social game was on-point and got to know everybody, unlike Nicole who was in bed with Corey for 99% of the season) and also for winning BB18 versus either N or J. The only way I see Paul getting "boned" tonight, if he loses Part 3 and Nicole takes James instead. Vote on CBS All Accesss: either Jason or Jozea will be on BB:OTT! Time for the Part 3 HOH Comp! We have Paul VS Nicole for Final 2! Time for the jury to ask Paul and Nicole questions. 10:51pm ET:Time to reveal the winner of BB18 and America's Favorite Player! 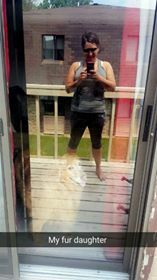 **Stay tuned for a new post! Tomorrow (Weds) is the BB18 finale and then we'll all have just a mere 1 week off before this Fall's edition of Big Brother "Over the Top" begins on the live feeds! I'm super excited and cannot wait for all that!! Stay tuned to this blog for all the details on BBOTT. 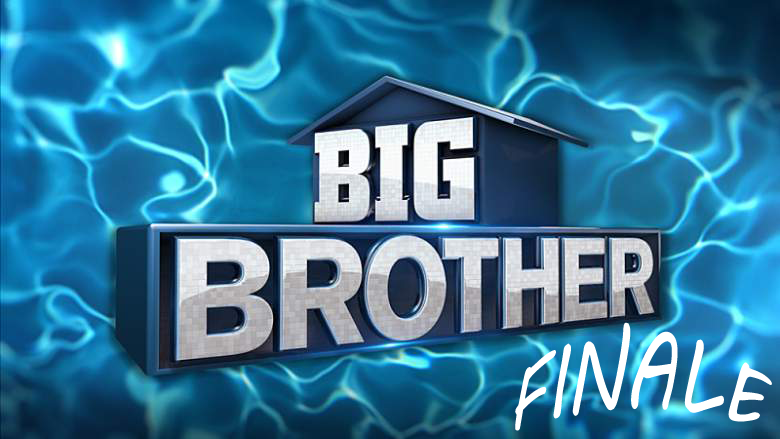 You'll need the live feeds in order to watch the 10-week season this Fall, as it will not be shown on TV. Don't worry, BB19 will still be on TV next summer. Okay, so it looks like we're still gonna have a Paul VS Nicole Final 2 now matter how ya slice it, as they both agreed to take each other. James is now in the know, as he overheard a conversation of theirs. He knows he messed up by getting rid of Corey instead of Nicole and he's chalking it up to a "f*ck up". In a Paul VS Nicole scenario, I do believe that Paul will win, but we'll have to wait and see what happens tomorrow night. EDIT: literally as I was posting this, Nicole was talking to herself on the feeds about how she's torn between taking Paul or James if she wins the 3rd round tomorrow night. She said to herself that she knows she'd lose to Paul but her heart wants to take him, as her mind wants to take James because she'd win against James. Oh boy. 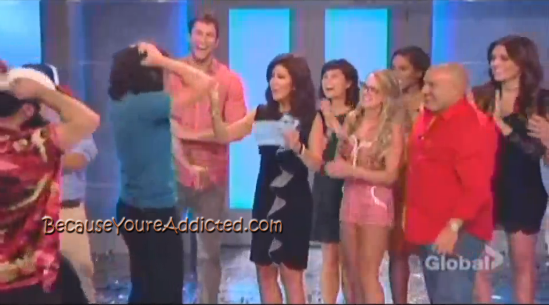 EDIT 2: Yep, it looks like she's taking James if she wins Part 3 Final HOH. Paul better win Part 3 or he's toast. Need the feeds? Get'em right here!! Will you be watching BB: Over The Top this Fall? Contact Me © Copyright BecauseYoureAddicted.com, 2013. All rights reserved. No images and/or any content on this blog are allowed to be used and/or distributed in any context.